The Classic Car Company is delighted to present this beautifully restored Steyr Puch. This 1962 Steyr Puch 500 D combines the early iconic design with the suicide doors and long folding roof, with the later more powerful engine. The car was then imported to the UK in 2016 where it has remained with one enthusiastic owner. He has had routine maintenance carried out with a specialist, and the car has had a full check over, with engine and brake service in February 2019. What we now have is an incredibly rare car, in an incredible condition. The combination of the engine and gear ratios allow the car to be driven enthusiastically, and can be really enjoyed at sensible speeds. The Puch 500 was a city car produced by the Austrian manufacturer Puch, a subsidiary of Steyr-Daimler-Puch in Graz, Austria. It was built under license from Fiat. In 1954 Steyr-Puch decided to develop a small car to resume car production after the war. Because of the high costs associated with the development of a completely new design, an agreement was made with Fiat to acquire and adapt the complete bodyshell of their 500-model. The engine cover and the roof was produced in-house. The front axle including steering system was also supplied by Fiat, independent suspension with wishbones and a transverse leaf spring. 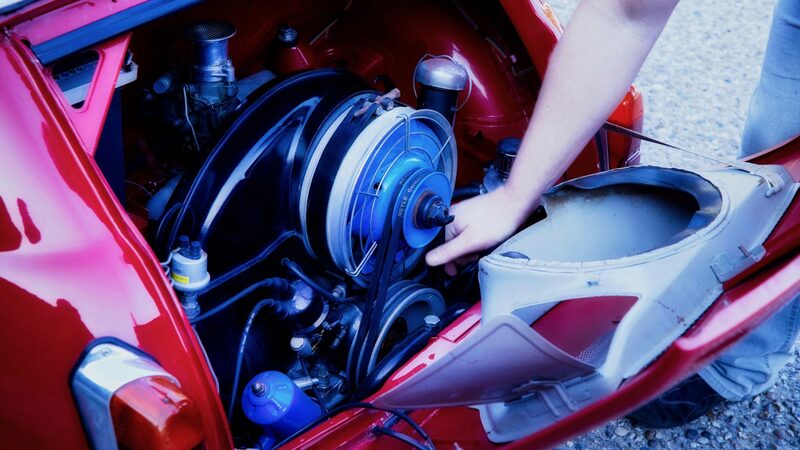 The great difference between the Steyr-Puch and the Fiat 500 was the completely different engine-unit , the Fiat was equipped with a in-line 2-cylinder engine with a long crankshaft which was not supported by a centre main bearing. The Puch 500 had a two-cylinder 493 cc. (16 bhp/12 kW) air-cooled boxer engine which proved to be far more smooth running than the in-line 2-cylinder engine used by Fiat. The boxer-engine had a short and rigid, nitrided crankshaft with three main bearings, a central camshaft, hemispherical combustion chambers, large valves and a tube-and-fin oil cooler. The advanced engine-layout provided that the engine could resist high revs for quite a long time. Also the transmission, differential, driving axles, rear suspension and brakes were developed by Steyr-Puch. The single circuit brake system had remarkably large ribbed brake drums made of cast aluminum with a cast inner liner. The complete engine-unit was secured with three rubber bearings to the car body. The transmission was synchronized from 2nd gear, the rear axle was a 2-joint swing axle with coil springs. The first Steyr-Puch 500 was launched in 1957 and it was a immediately a hit in Austria. It was offered only with a long folding roof and rear-hinged doors (“suicide doors”). 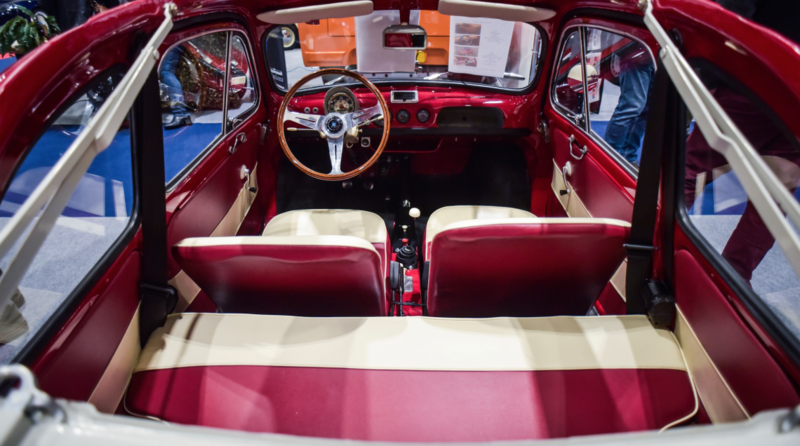 Another great advantage of the Steyr-Puch compared to the Fiat 500 was that the back seat was installed deeper. The space-saving boxer engine made this possible, so the car was a 4-seater and not a 2+2 seater. The ‘Puchwagen’ as it was called, was the official car for the Austrian AA-service. It was anticipated that the buying audience would be motorcyclists. Compared with other small cars of that time it had a good driving behaviour, especially during mountain rides. In 1959 came the first revision. The model Steyr-Puch 500 D was provided with the metal roof produced by Fiat (D for Dach, i.e. “roof” in German), and in addition to that the luxury model 500 DL was equipped with a stronger engine (20 hp/15 kW). 1961 saw the launch of two estate models, 700 C (C for Combi) and 700 E (E for Economy), both featuring a larger 643 cc engine but with different power ratings. In 1962 the sedan, too, was equipped with the larger engine, leading to the 650 T (T for Thondorf, the location of the manufacturing plant in Graz). A few years later the engine was boosted even more, resulting in the 650 TR and 650 TR II (R for Rallye) – models at first intended for police use, but later also offered as standard. Going through homologation in the Group 2 racing class, they successfully participated in motorsport events, competing with its Abarth sister models. In 1966 the Polish driver Sobies?aw Zasada won the European Rally Championship with a Steyr-Puch 650 TR II, the smallest vehicle ever to achieve such victory. Gerard van Lennep won the Production Cars Championship (up to 700 cc.) of the Netherlands in 1966 and 1967 with a yellow 650 TR. He also competed in European Cup races, winning in Belgrade. The body and outfit had remained more or less the same, until in 1967 the modified Fiat 500 design introduced in 1965 was adopted in Graz. The most essential new feature were the front hinged doors as opposed to the former suicide doors. 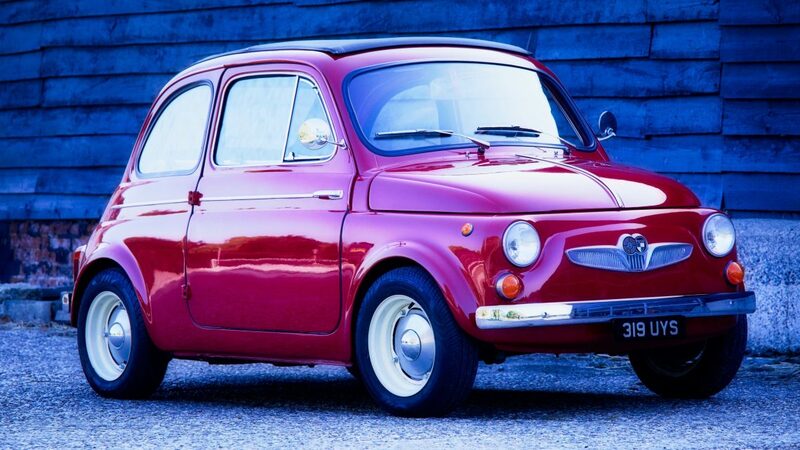 At the same time, the roof was adopted from Fiat. The new models were given the additional label “Europa”. 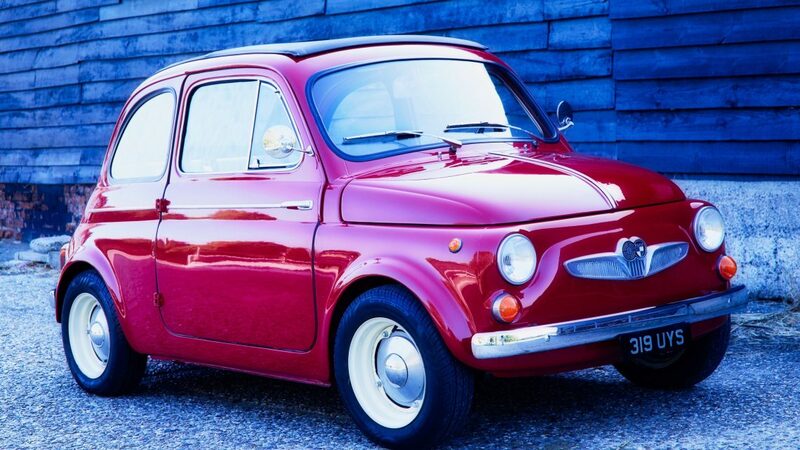 In 1969, due to decreasing demand, it was decided to adopt not only the body but the complete drivetrain minus engine from Fiat. 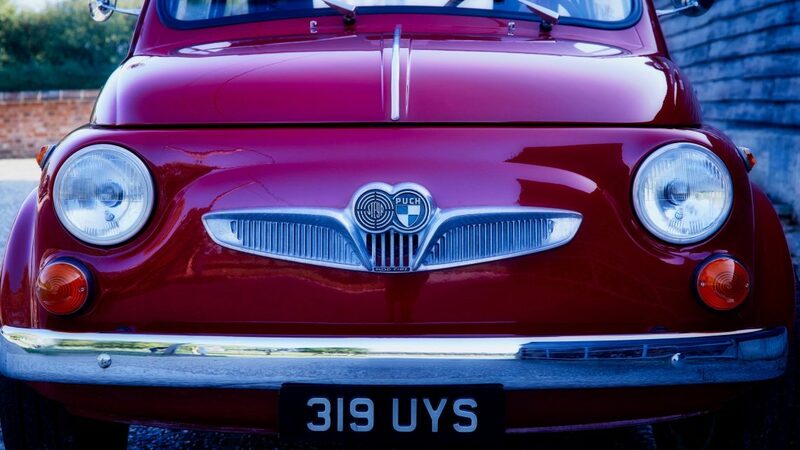 The engine was the only unit remaining under local manufacture and the model was now called 500 S (Sport). In 1960, 20-year-old recent design school graduate Werner Hölbl designed a handsome italianate coupé bodywork for the Puch 500. It is referred to as the Steyr Puch Adria TS, the Puch Adria TS, or also Steyr-Puch 700 Sport-Coupé. One example was presented to Gianni Agnelli who was visiting Austria, as series production was hoped for, but it never materialized and only 18 examples were built. The cars built were finished mostly by hand in Hölbl’s father’s bodyshop – the first few cars in Klagenfurt but most of them after a move to Vienna. To improve the proportions of the car, the longer chassis of the 700 C estate. It was also equipped with the larger engine (called a “700”), but tuned to 28 PS (21 kW), and there was also a Super Sport model with 32 PS (24 kW) listed in a period advertisement. 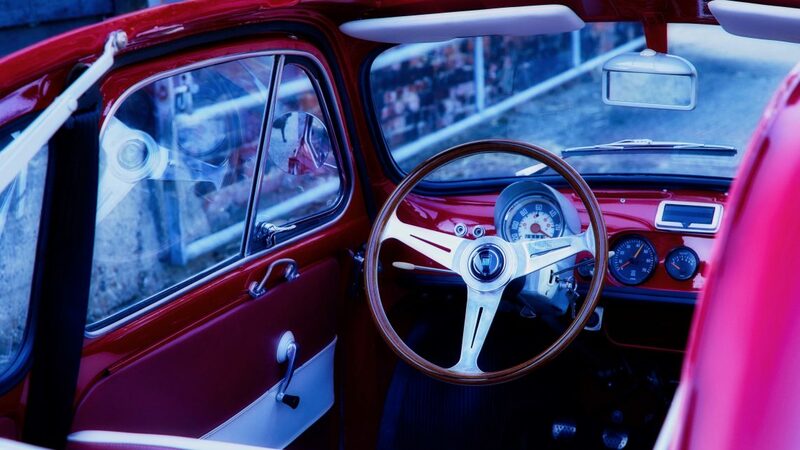 The small car sold well, with around 57,000 units produced between 1957 and 1975. Despite restrictive licensing terms from Fiat, quite a few cars were distributed outside Austria, most of them in Germany and Hungary, as well as in Finland, imported by Sisu Auto.